One of the oldest dive shops on Ambergris Caye has been expelled from the PADI dive organization network. The expulsion was made effective on Thursday, July 17th, and as a result, Amigos del Mar Dive Shop can no longer conduct any PADI certified courses or represent themselves as PADI members. Also expelled as a PADI affiliate, on the same date was Marciano Mendez who conducts dive training at Amigos. Due to confidentiality code, PADI cannot disclose the reason for the expulsion, but has assured that expulsion is the last resort when addressing issues with members. PADI Quality Management Manager, Linda Van Velsen told The San Pedro Sun that before any establishment is expelled, PADI follows an extensive process that includes fact checking, getting all perspectives about the issue including the members, and, when necessary, offers corrective retraining and cooperative compliance before expulsion is considered. The San Pedro Sun contacted the owner of Amigos del Mar Dive Shop, Albino “Changa” Paz but he declined to comment on the matter. While PADI is the most recognized and world’s leading scuba diver training organization, it is not the only dive training organization that dive shops in Belize affiliate themselves with. Other dive training organizations that provide certification include Scuba Diving International (SDI), Scuba Schools International (SSI), National Association of Underwater Instructors (NAUI) and National Association of Scuba Diving Schools (NASDS), among others. Amigos del Mar Dive Shop is a SDI and SSI affiliate. The San Pedro Sun has also been following a seemingly related case to Amigos of sexual assault that reportedly took place on Tuesday, May 20th at the Amigos del Mar dock. According to San Pedro Police, the 18-year-old victim reported she was sexual assaulted while practicing dive lessons at Amigos. The victim stated that she started receiving lessons by dive instructor Marciano Mendez on Monday, May 19th at the Amigos del Mar Dive Shop. On her second day of lessons, she was informed that Mendez was not available, so she was instructed to practice dive skills with Gerson Cordon. 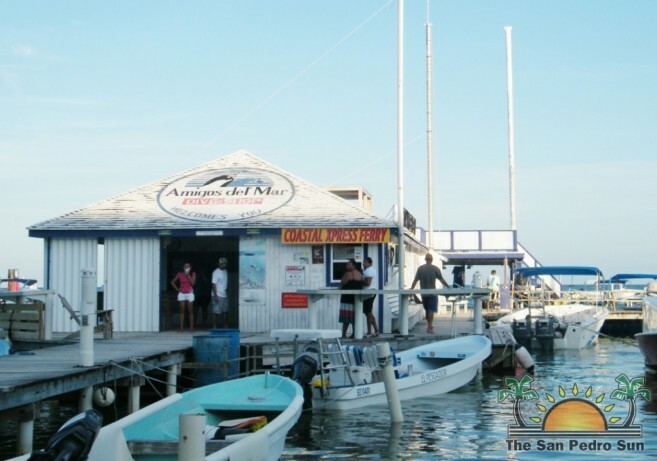 Cordon is the manager of Amigos Jungle Tour which operates under Amigos del Mar Dive Shop. According to the victim, the first time she had met Cordon was the previous day during her dive lesson. At about 45 minutes into the practice she stopped to try to fix the waist belt of the equipment which kept falling off, but couldn't fix it properly. Cordon came over to assist her and after tightening the belt he pushed his hand between her legs, pulling her bikini bottom to the side, and proceeded to indecently touch her in her genital area. The victim stated that she was scared by the situation and could not scream or tell anyone; instead she just finished her lessons and left. Cordon was officially arrested and charged for the crime of Sexual Assault on Thursday, July 22nd, and was later released on bail. The court hearing for the incident is scheduled for later this month. The San Pedro Sun held an interview with the victim, wherein she stated that she had also reported the incident to PADI on Tuesday, May 27th, but has not filed an official complaint to the establishment. “I don't want this to be happening to anyone else,” said the victim. There is no confirmation from any relevant parties on whether the PADI expulsion was a result of the sexual assault accusations or is a component of other improprieties within the prominent dive company.